As Winter approaches here in Dearborn Michigan there is one home component that many people tend to over look. 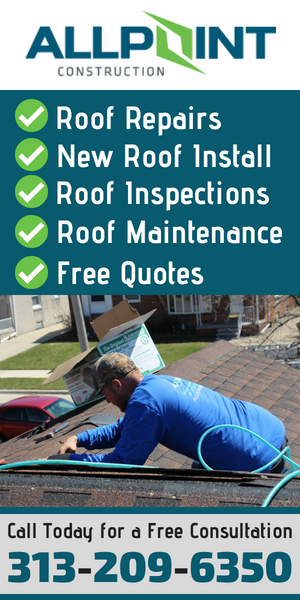 We’re not talking about the furnace to keep us warm on the cold winter nights but the roof on your home. Having problems on the roof of your home during winter can lead to loads of problems. Yet, many people never even consider there to be problems on the roof. One of the biggest problems during winter in Dearborn for your roofing is roof ice dams. 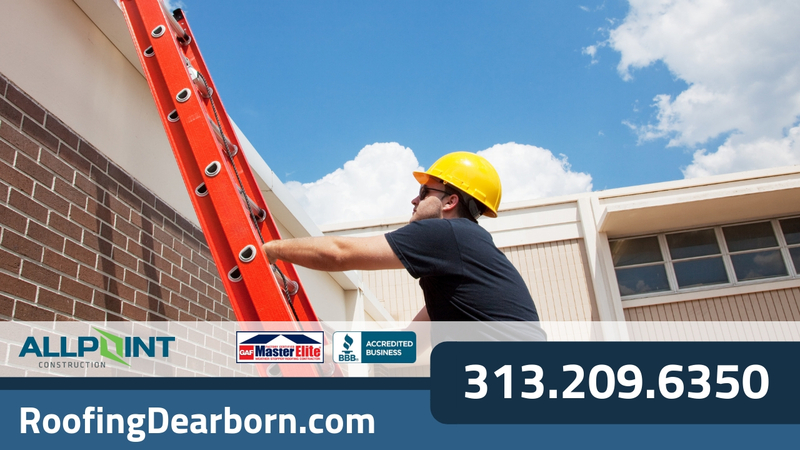 Having a qualified roofing contractor in Dearborn Michigan to check and inspect your home for this problem is a must if you want to keep your home protected during this winter. The hard winters can wreak havoc on your home, causing massive, costly problems in the spring. 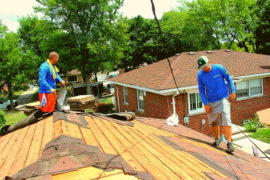 This is especially true for the roof of your home because it is so exposed to the elements. The roof faces two major problems over the course of the winter months; ice build up and rook leaks. While you may not see these as massive problems, you can quickly end up with hundreds, if not thousands of dollars in damage and will quickly get worse and worse. If moisture builds up on your roof you can end up with ice dams. These dams typically form on the edges of the roof near the gutters where moisture has been aloud to gather and freeze over a period of time. Once this occurs you can end up with cracked shingles, blocked and broken gutters and can even affect the structural integrity of your entire roof. It is crucial that you do everything you can to prevent moisture from being able to gather so ice cannot form on your roof. If you do see ice building up on your roof you should have your contractor come out to clear it and look for any signs it has caused damage. Don’t wait until an ice dam forms to call because staying on top of the problem and taking care of it in a timely fashion is key to preventing costly problems with your roof. Keep your roof clean of debris like leaves that help retain moisture that could end up freezing later. If you have any trees near your home you should trim them to help cut down on debris on your roof. Keep your gutters running smoothly by cleaning them out regularly and make sure there are no leaks or blockages throughout the system. You should do a thorough inspection of the system before the weather gets cold and winter starts to make sure everything is working fine and there are no repairs that need to be done. Maintaining proper insulation and ventilation in your home and attic will also keep your roof from building up ice. Not only will this help prevent ice from forming dams, but help you cut down on monthly energy bills. While a tiny leak may not seem too problematic at the time, any roof damage will quickly become worse. This is especially true in the winter as piles of snow build up on your roof. The moisture coming from the snow can work its way through the sub-roof and sheathing and can continue through the home. This moisture can easily become mold and that mold can quickly take over your home and wreak havoc on your health. It is important for you to maintain a healthy roof, especially the shingles. 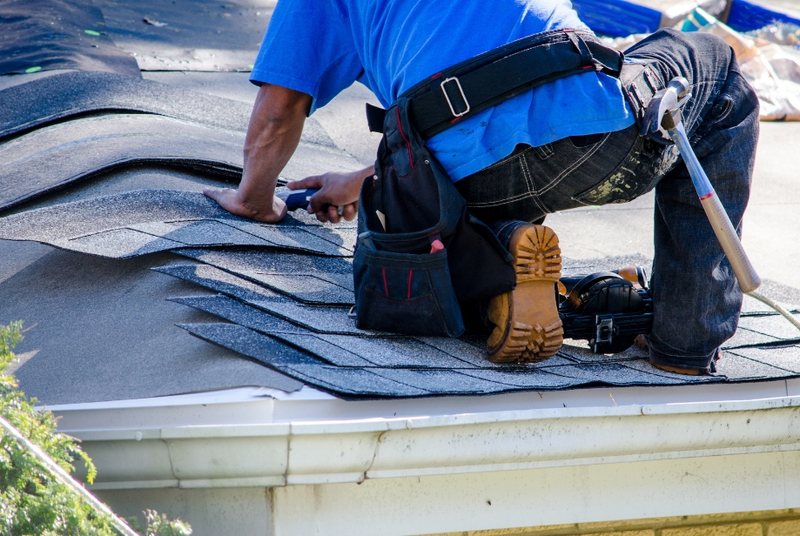 To help prevent leaks and other problems, it is important to always maintain healthy shingles that aren’t cracked, chipped or missing. 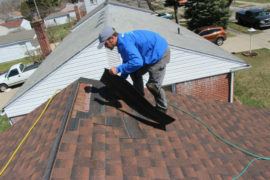 Remove any debris or snow off your roof whenever possible to prevent moisture to build up and wear down your shingles. Your should also trim trees nearby to help cut down on debris. 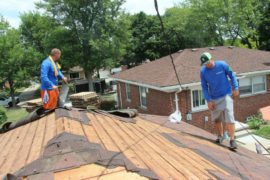 If you need to, you should hire someone to help you to manage and clear your roof of the debris.